Located in Soufriere, Saint Lucia, Sargas Villa is a great option to choose when deciding where you want to call home during your stay on the island. Soufriere is a charming town West Coast of Saint Lucia, it is said to have been crowned its name due to the sulfurous scents of the area’s unique drive-in volcano and steaming mud baths, washing and kissing the air. There is a lot of excitement from the hustle and bustle of the town centers, contrasted by secluded waterfalls and breathtaking views of the famous twin Pitons. 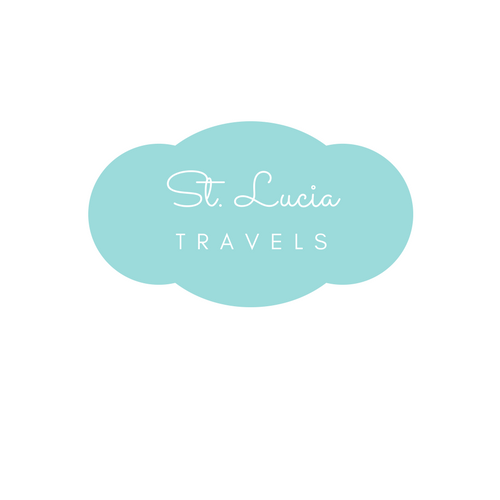 The town is a must see when traveling to Saint Lucia and it is essential to pick the best accommodation in order to fully enjoy all that it has to offer! What makes this town even more unique, is that it is the central location for some of the most amazing choices of resorts, villas, and hotels on the island. Sargas Villa definitely makes it high on that list! Unlike other types of accommodations, Sargas Villa provides a cozy, luxurious and private stay with all the tools for complete relaxation at your fingertips. Sargas Villa is a paradise, a tropical haven in the middle of this Carribean heaven available through Islander Villa Escapes. Keep reading to find out why you should book your stay today! From the moment your eyes make contact with the beauty of Sargas Villa, you will be completely blown away! This Villa is created for the ultimate luxurious and relaxing stay, with a modern interior and exterior design, nothing is short of breathtaking. You will be taken away from the stuffy and crowded environment of busy resorts and hotel scene, instead engulfed in the personalized private experience of a lovely vacation rental home. The sleek outer design features high ceilings and tranquil balconies overlooking a direct view of the twin Pitons. Along with crystal clear blue waters, lush greenery, and access to a freshwater infinity pool, just a step outside your door, overlooking the town of Soufriere and the cool ocean waters. It is truly a stunning gaze! Once you step inside the Villa, you won’t believe it’s possible for the experience to be even more beautiful, but the beauty is inescapable. No other Villa will allow for such an excellent combination of both inside and outside design. At Sargas, you are really made to feel at home, or rather, in a version of your dream home! After a day of exploring the island, you will be looking forward to coming home to a cool air-conditioned space, featuring a fully equipped kitchen and breakfast bar, with a formal dining area! The fully equipped kitchen gives you the opportunity to try a hand in island cooking, using the exotic and new ingredients you’ve gathered from local shops and markets. If cooking isn’t your muse, that’s no problem at all! You can simply gaze in awe at the beauty of the marble countertops while enjoying traditional meals cooked by your very own private chef. This hired chef service is made affordable; featuring healthy and mouth-watering dishes, made specifically at your request! This is not your traditional take-out or eating out experience, it is really an experience like no other. Chef arrives at the Villa with an array of fragrant spices and ingredients. From Creole Fish with Lucia style vegetable and ground provision or Curry Chicken. The chef is ready to make you a dish you won’t easily forget. Make sure to take advantage of the Villas 24/7 on-call chauffeur services in order to explore the nearby beaches, waterfalls, and volcanos. Discover the beautiful white sand beaches of Sugar Beach or the calming sounds of Hummingbird beach. You can spend your day doing an endless amount of nearby tours and activities you did not even know were possible to indulge in! Sargas also offers full day Soufriere tours and a breathtaking Rainforest Tour. The full day Soufriere Tour is available exclusively for Islander Villa Escapes lodging and it includes a privately guided and customizable tour of Soufriere. You have access to free pickup and return to your villa, along with complimentary beverages and a knowledgeable local guide. The tour includes an exploration throughout Soufriere, learning the history and gazing at the beauty. You can stop and dip in a hot mud bath, indulge in the Sulphur Springs, stimulating all of your senses with the beautiful views of the stunning tropics and the sweet smell of salty waters. You can also make your way to Diamond Falls and relax into the therapeutic hot mineral baths. Following a unique drive into the world’s only known drive-in volcano, an experience you will not forget! Make sure to bring your camera and your spirit of adventure, as there is so much to do and explore, your day will be packed and personalized how you wish! The adventures can feel endless, you have the opportunity to also enjoy the Enbas Saut Rainforest Tour in order to truly get to know the island! This five-hour tour is completely customizable and includes free pickup and return services, along with complimentary beverages. You will enjoy the warm waters of the rainforest and relaxing waterfall baths. If you ever feel unsure where to go to get to know the best of Soufriere, Sargas gives you access to local experts and their team is always available to you. They will know exactly where to direct you in order to participate in activities you did not even know were available on the island, that’s the beauty in knowing the locals! Finally, once you get home to your Villa after your full day, you can take advantage of all the amenities available to you for a deep relaxing breath into the moment. A 55 inch Smart TV will be waiting for you in each master suite, allowing you to melt into full relaxation, pop in your favorite Netflix show after a day kissed by the gorgeous Caribbean sun. High-speed internet and an iMac computer are also included, allowing you to easily share photos of your tours and accommodations with friends and families in real time. Sargas is also equipped with two master suites, a king bed to melt into and massaging rain showers– everyday tasks have never felt so luxurious. Your private balcony overlooks the blue waters and the incredible Pitons from every angle possible. The resort is perfect for either couple, a small group or family as accommodations are suitable for all kinds of parties. It is the perfect choice for honeymoons, special events or a stunning tropical getaway! From breathtaking modern design styles, both inside and out, to a private Chef, balcony views overlooking the beauty of the island, unforgettable tours and accommodations, Sargas Villa is the place to stay in Soufriere! Awarded with TripAdvisor’s Certificate of Excellence from 2014 to 2018, it is clear that all aspects of the Villa have been made to allow you to enjoy your dream home in a tropical haven. Is there more you could indulge in during your tropical getaway? There’s nothing your imagination could want more than the dreams of Sargas Villa. Book your stay now to enjoy Soufriere from the vantage point of Sargas Villa!